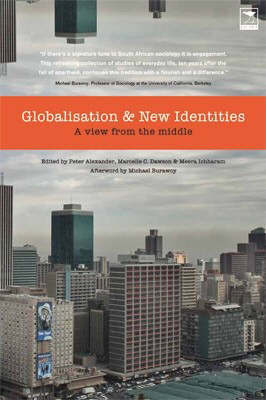 Globalisation and new identities - a view from the middle brings together 12 ethnographic studies of post-apartheid South Africa, which focus on the emergence of new South African identities with both strong local characteristics and powerful global influences. It shows how, in different ways, through adoption, adaptation, avoidance and resistance - South Africans are responding to the forces and connections of globalisation. These ethnographies refuse to make of South Africa a special case, a case apart from the rest of the world, but instead locate it within the rest of the world. In adapting northern approaches to globalisation to their own purposes, the originality of the authors' engagement with South Africa's social fabric becomes clear in historical perspective. All these studies show how globalisation constitutes and is constituted by the spreading of localised interests and identities - quite a tranformation from the intense national politicization associated with the anti-apartheid struggle.